I am soon going on holiday to Vietnam and I couldn't be more excited to go back and visit family, eat fantastic street food, sight see and relax in the sun and warmth. Another thing I am doing, is getting a coat and cape made. Fortunately my mother has a relative who's an amazing tailor - his dad was the main tailor to a previous President and minister in Vietnam, so let's just say he's well trained! My inspiration for the coat and cape are these images found on pinterest. 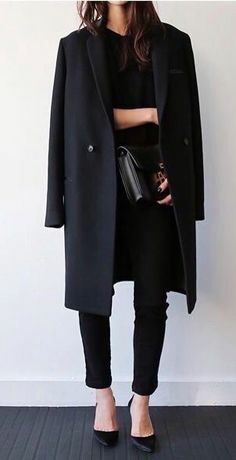 (clickable images) A single breasted black coat with hidden pockets and a super simple cape with just a buckle or button to fasten it. I will keep you posted on the process. So excited!